Sports Geek News is curated via the social media channels of Sports Geek. Follow Sean Callanan on Linkedin or follow @seancallanan on Twitter to see these articles as soon as we read them. The articles that get the most clicks are included in Sports Geek News published weekly, you can sign up here. AFL do just that with two Preliminary Finals sold out in just hours! Can't want for Friday night! Melbourne Esports Open Australia’s biggest-ever esports event. How long can the Athletic grow like a tech disruptor if it reads the same as the newspapers it’s poaching from? For our full Sports Geek episode archive click here. 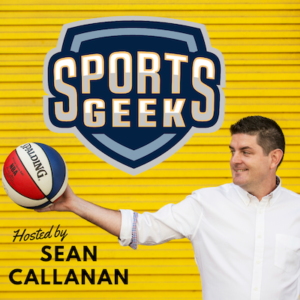 Sports Geek is available on Apple Podcasts, Google Play, Stitcher and Pocket Casts. Sports Geek Nation Slack is now restricted to paid members only. If you wish to join the community, go to SportsGeekNation.com to join our wait list and be the first to know when subscription doors will open again.